Koala mattress cleaning Sydney provide all kind of mattresses cleaning and sterilization services which help you to get healthier bedding including dust mite removal. Koala Cleaning is one of the best mattress cleaning service providing companies in Sydney. Except mattress cleaning, Koala Cleaning also provide duct cleaning, tile and grout cleaning, carpet cleaning, etc. By taking leverage of latest equipment and technologies, we provide best services in shortest possible time. If you are looking for local mattress cleaning services in Sydney, then you have landed at the right website. We are dedicated to providing best cleaning service in the region. Our certified cleaners are expert in mattress cleaning and well versed with the different procedure of mattresses cleaning. Our team of cleaners are dedicated and always ready to giving mattress cleaning service 24×7. We provide cleaning service on the same day of order without any delay. Even if you need the service in an emergency, just call us and we will provide the service without charging extra price. Professional Mattress Cleaners in Sydney? Koala Cleaning has achieved it to be called as best mattress cleaner in Sydney. The reason is the different type of mattress cleaning services it provides. The trained mattress cleaners, affordable price, and 27×7 service has made it best in the region. If you need emergency mattress cleaning or mattress sanitisation service, call us and get service immediately. 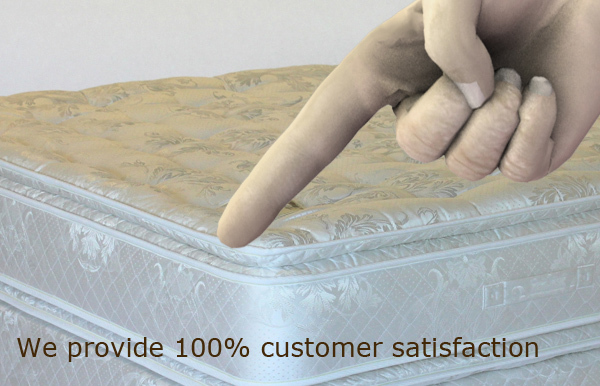 We have mattress cleaning customers all around the Sydney. They are happy and satisfied with our service. Our testimonial page will tell you the same story. You can visit the testimonial page for your satisfaction. Our Mattress cleaning Sydney team is very highly trained in mattress cleaning. Our team only use latest equipment and chemicals to clean the mattresses as our aim is to provide best and latest solutions for mattress cleaning. Our Sydney team is completely profession and dedicated. So hire our team today at very reasonable price. Check your mattresses today. Is it dirty, soiled and stained? Then it is a time to get a professional mattress cleaning service for you. Call for free quote at 1300 402 628 today and get lowest price rate available in Sydney. Feel free to contact us 24×7!